Khorosho Productions: Ezmeralda Tyke is released! Finally, after months in the wild wilderness of a fantastical land, Statuesque Miniatures is proud to announce the release of Ezmeralda Tyke of the Malinquents- a diminutive elf-like creature infamous across the land as the alleged abductor of one Lillie Poots, age seven. Ezmeralda is available in metal for £4.75 and in very limited numbers in resin for £5.75. 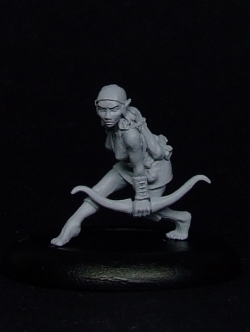 She measures approximately 20mm tall as posed. 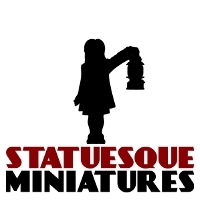 Visit the Statuesque Miniatures Online Shop now to pick up your own Ezmeralda.